Here are this week’s Friday Faves! Foodlogic – A short documentary that looks into alternatives and the possibility to use local food as a tool to define new urban transport standards, by exploring the logistics of food from the surrounding countryside to the city of Amsterdam and the impact on urban environment. Agroperifèrics – Besides being one of our faculty members, we’ve talked about Ignasi Lopez before and featured his work with Bside Books. Now he is crowdfunding to complete a publication that showcases a photographic essay on Barcelona’s new “agro-peripheral” areas. 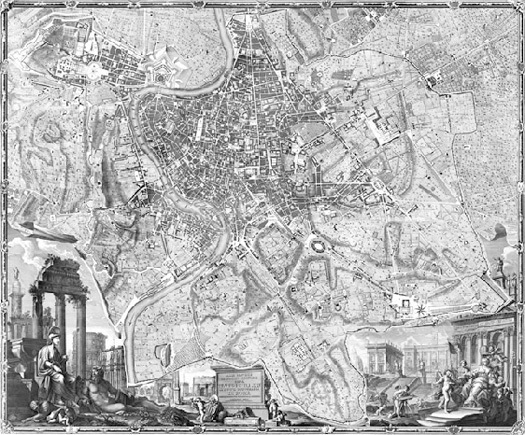 Giambattista Nolli’s map of Rome – Spotted over at Design Observer Places is this geographical gem, Giambattista Nolli’s map of Rome–Pianta Grande di Roma, the first modern city map—engraved in 1748, with a poem by architect and urbanist Dolores Hayden. Jahn Gehl on urban design – In this interview, the architect and urban designer gives some insight into cities such as Copenhagen and urban design. I’m definitely going to watch Food Logic. I’m reading Animal Vegetable Miracle and so it will go so well with that book.